Another way to publish scientific methodology is through an academic journal. This is typically referred to as a peer-reviewed publication. The peer-review process begins with scientists observing, studying, and qualifying or quantifying the phenomenon. These scientists then complete their analysis and write an article on their results. The article is submitted to the editor of a relevant journal. 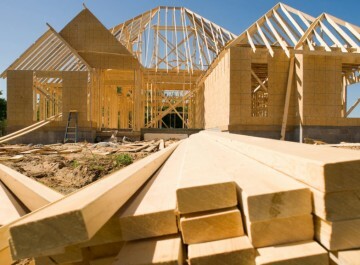 In the case of building science, articles can be submitted to the journals of Building and Environment, Construction and Building Materials, Materials and Structures, Building Research and Information, or Materials in Civil Engineering, among many, many others. The editor of the journal would then send the article to other well-known scientists, in the same field, for their review. These peer reviewers read the article and provide feedback to the editor. At this stage, the editor can compile a list of comments for the authors or if the article doesn’t meet the scientific standards of the journal, it can be rejected. If the article is not rejected, the authors then answer reviewer’s questions and comments, revise the document, and resubmit for further review. The process iterates until the peer reviewers and editor are satisfied the scientific standards of the journal are met and the article is published in that journal. These two ways in which testing methods or procedures are published are important because it shows that procedures have been reviewed by an established and rigorous process by stakeholders in the industry—the same entities that will use the procedures. 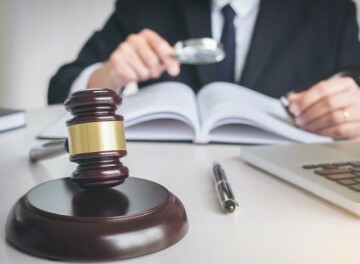 Further, these processes assure the reduction of bias by any one branch of the industry because it was compiled by members of the different branches of the industry or it was reviewed by different members of the industry. In effect, it serves as a checks and balances system. So, what is “The Brittleness Test”? Many in the industry refer to “The Brittleness Test” as a method by which the reparability of an asphalt composition shingle roof can be assessed; however, is “The Brittleness Test” that you’ve encountered an industry-accepted test method, as outlined above? The answer is likely, no. There is a widespread misconception that there is a prescribed methodology to “The Brittleness Test”. There is no ASTM, ANSI, Haag, or other industry-accepted, peer-reviewed method to determine or quantify shingle brittleness. But why is this important? 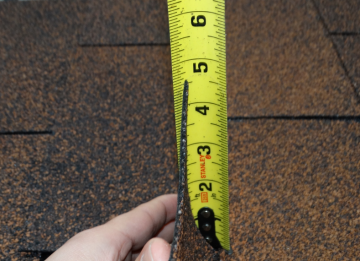 Some inspectors refer to “The Brittleness Test” as un-bonding a field shingle and lifting the end of the shingle until it is X-inches above the roof surface. However, the lifting force is not specified and rarely is the lifting dimension justified. It is clear that without limiting the lifting force or justifying the significance of the lifting dimension, such a method can be misused. We often come across inspectors that will specify the lift dimension as a dimension equal or greater to 6 inches. In looking at a proper shingle installation, typical nail locations for a three-tab shingle are 5-5/8 inches and for some laminated shingles can be less than 6 inches. Specifying a lift dimension of 6 inches or greater, can result in tearing of the shingle around the fasteners, without having anything to do with the age/condition of the shingle. Figure 1 below shows an example of lifting a tab straight up without causing damage. Its end measured less than 5 inches above the roof. Figure 1 – Lifting a shingle tab without causing damage measured less than 5 inches. Figure 2 – An illustration of “The Brittleness Test” where a shingle corner is bend upward to a 90-degree bend. Note the difference in the two radii of curvature. It is clear how a tight radius of curvature, as is shown on the left, is more likely to damage the material (this could happen when bending the shingle against the overlying shingle or against its fasteners), regardless of its age/condition when compared to the example on the right (without the shingle binding on the overlying shingle or its fasteners). Figure 3 is an example of a 90-degree bend, with a tight radius of curvature, causing damage to a new three-tab composition shingle. Figure 3 – “The Brittleness Test” 90-degree bend causing damage to a brand new, unweathered shingle. It is also clear that a 90-degree bend is not necessary to access the shingle’s fasteners. Figure 4 – An illustration of “The Brittleness Test” where a shingle corner is pinched. It is clear that such a test could cause damage to any shingle regardless of its age/condition. Such a bend is not necessary in conducting an individual shingle replacement. As such, it is unclear how such a test is related to reparability. Below is an example of this test causing damage to a new three-tab composition shingle. Figure 5 – “The Brittleness Test” corner pinch causing damage to a brand new, unweathered shingle. These are the most common “Brittleness Tests” other inspectors have reported or shown to us; however, the list of other “Brittleness Tests” with different failure criteria goes on and on. This conversation could further be expanded when considering the effect temperature has on the shingles. However, being that there is no industry-accepted, peer-reviewed, step-by-step, quality-controlled methodology, we cannot assure that performing “The Brittleness Test” can be accomplished in a repeatable scientific way. It is clear that the lack of specificity, procedure, consistency, and repeatability in these methods can lead to biased results. If there is no “Brittleness Test,” how do you determine reparability? Assessing the reparability of a shingle involves determining whether the fasteners can be accessed without causing damage to the overlying shingle; however, can this be accomplished without an industry-accepted test method? Legitimate concerns regarding reparability can be addressed by attempting to remove and replace a shingle. First and foremost, permission of the property owner should be obtained. Then, the target shingle and the shingle directly upslope can be carefully unbonded, the fasteners for the target shingle and the shingle directly upslope can be removed, and the target shingle removed. The adjacent shingles (not the removed shingle) can then be closely inspected for damage. In using this method, however, be cautious of purposeful efforts by others to damage the roofing. Figure 6 is of an instance where one of our engineers encountered another inspector that attempted to demonstrate the shingle’s “brittleness”. The inspector attempted to demonstrate removing a shingle while lifting his pry-bar straight up to pry out a nail, clearly causing damage. Figure 6 – An example of purposeful efforts by others to damage the roofing. Another method to determine the reparability of a shingle could be to carefully un-bond a shingle or find an intact non-bonded shingle, then carefully lifting the shingle enough to expose the fasteners and release the shingle. Upon release, the lifted shingle can be inspected for damage. Any shingles that were unbonded for examination should also be resealed with quarter-sized dollops of roofing cement. Figure 7 illustrates this procedure in a case where shingles lay flush on the roof without having incurred any damage. Figure 7 - Documentation of a shingle before lifting, lifting enough to expose fasteners, and release, and after releasing the shingles showing they sat flush without having incurred any damage. 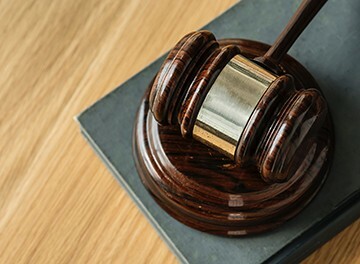 It is clear that for either of the two presented methods to determine reparability, discretion and good judgement are necessary. Both are not only necessary in determining reparability, but if the shingles are determined to be repairable, accounting for the difficulty of the repairs. Carlos graduated from the UN of FL with a BS, MS, and Ph.D. in Civil Engineering. He is a member of the American Association for Wind Engineering, the American Society of Civil Engineering, and the American Concrete Institute. Carlos has assessed damage to hundreds of roofs since joining Haag in 2012. He also served as a key developer of the Haag Certified Inspector-Wind Damage Course. His primary areas of consulting are structural evaluations and general damage assessment. He also works in the Haag Research/Testing laboratory, designing new test apparatuses and performing experiments and industry-accepted testing procedures. For Carlos' profile and contact information, click here.